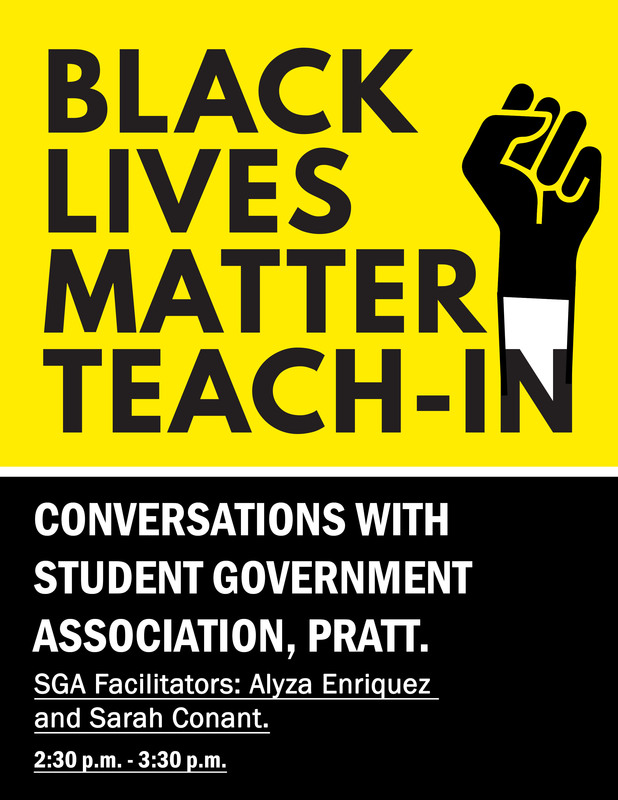 One of the number one goals of the Student Government Association here at Pratt is to create safe spaces for students to speak about race, gender, and overall diversity issues. We would like to use this event as an opportunity to create a student run safe space through which students can express their grievances and demands in relation to diversity issues here at Pratt. We will use these to curate a pamphlet that we will then present to administration on behalf of the student body at large. We, as SGA, want to ensure that administration is working to the fullest extent in order to create an environment in which everyone feels welcome. Everything included in the pamphlet will be anonymous and we will also update students on progress/goals being made on behalf of the administration. SGA Facilitators: Alyza Enriquez and Sarah Conant, SGA, Pratt Institute.